In order to determine the cause of your pain, we will conduct a full physical, orthopaedic and neurological examination of the shoulder, cervical and thoracic spine. You may be asked to perform shoulder range of motion and muscle strength tests. Where the pain is felt, both at rest and during movement of the shoulder, provides important clues as to the cause of the shoulder pain. It may also be necessary to undergo specialized diagnostic tests such as XRay, Ultrasound and/or MRI scans. Signs of Shoulder Injury may include restriction in the movements of the shoulder. Regardless of the cause, treatment of the shoulder area requires an experienced practitioner who can test the movements and structures of the shoulder and come to an accurate diagnosis of the problem. 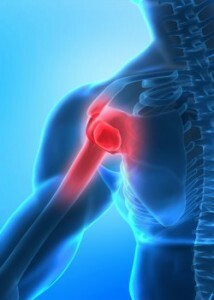 The initial objective of all shoulder injuries is to relieve pain and inflammation.